2014 Runoff Elections – Using the Jimmy Carter Voter Guide? Back 27 years ago, when I started my business, a friend and fellow church member asked, “Are you going to put a fish on your business card?” No, I wasn’t and I never did. My friend related how business owners who touted their Christianity were the people most likely to screw him on a business deal. Over the years, this has been my experience, too. If you are a true Christian, your behavior will validate your faith; you don’t have to wear a badge. 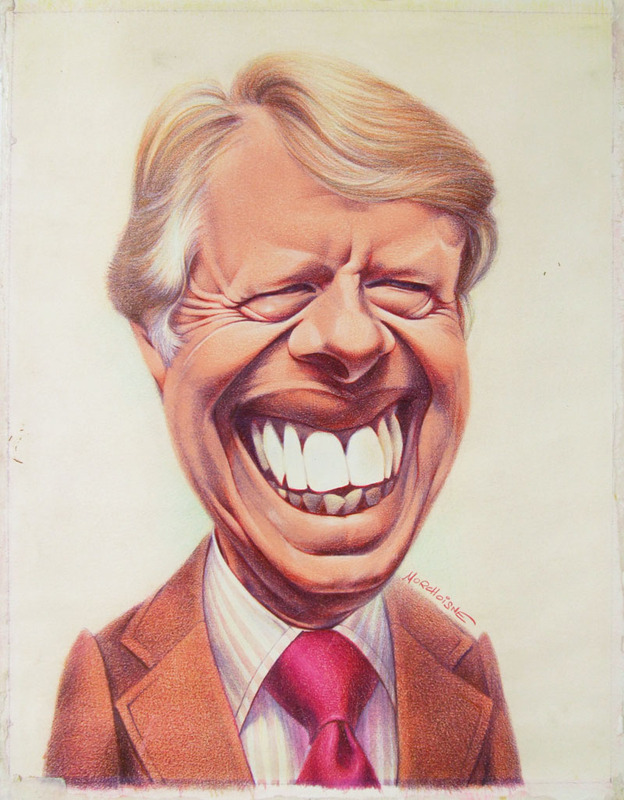 Way back in 1976, I was a Democrat and a new Christian who accepted at face-value Jimmy Carter’s claim to be the RIGHT candidate. How could I go wrong? Like me, Carter was Baptist. He was a deacon; so was I. By golly, we both taught Sunday school! How could I possibly go wrong? I was wrong. Dead wrong. I followed the Jimmy Carter voter guide. Four years later on, I became a Republican. Moving forward to 2014 elections, in particular May 27th runoff elections, I become keenly aware of a parallel to 1976. This old phenomenon renewed in 2013 I characterize as a neo-Pharisee movement. To my dismay, a number of my fellow TEA Party leaders are at the forefront of this neo-Pharisee phenomenon. One nearby TEA Party leader said to me, “I thought you wuz [sic] TEA Party.” Yes, I am TEA Party. Furthermore, I know English grammar. Do I suggest neo-Pharisees intend harm? Quite the contrary. If you know history, you know the Pharisees chose to crucify Jesus Christ thinking they were doing God a favor. No doubt, the neo-Pharisees laboring in this election cycle believe with all their hearts they are “doing the work of the Lord”. One distinct characteristic of Pharisees is their unwillingness, their inability to reason. Therefore, I forego detailed rebuttals to specious slanders. 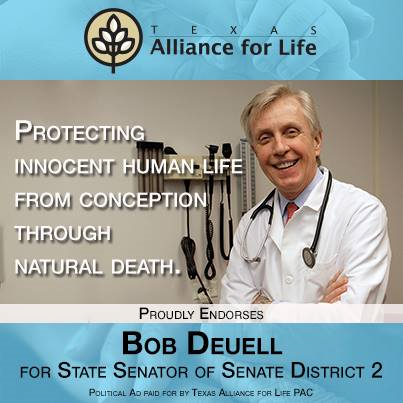 Instead, I stand steadfastly in support of the re-election of Dr. Bob Deuell, an honorable man, staunchly pro-life, a significant ally to gun owners and a valuable friend to job creators – business owners. For me, the RIGHT candidate is the one with a proven pro-life, pro-gun and pro-business track record. Bob Deuell is the RIGHT candidate. Let’s not follow the Jimmy Carter path in 2014. Use your brain to think for yourself. For your convenience, I list below useful links. Video: Who’s Responsible for Closing Texas Abortion Facilities? It appears that the wise, thinking voters of Texas got it right tonight. Wins for Patrick, Paxton, Ratcliffe and Bob Hall give me hope for the future. Entrenched, establishment politicians got us into the mess we’re in, these new guys will certainly help to lead us out. What a great night for Texas!